Women’s Track and Field began their season at the Diplomat Open at Franklin and Marshall over the weekend. Highlighting the Falcons’ performance was Taylor Wiederrecht who took 1st in the high jump, earning a program-record of 1.68m, and Alyssa McMinn finished in 5th place in the weight throw, but also earning a program-record of 14.22m. Men’s Track and Field also opened up their season at the Diplomat Open. Brendan Provan finished in 5th in the 60m Dash, and Andrew Schott finished in 10th place in the 60m hurdles. Women’s Swimming lost to Dickinson 109-96 earlier in the week. The Falcons won five of the 11 events. Over the weekend, the Falcons competed in the Washington & Lee Invitational finishing in second place with 777.5 points. Cassie Cotton tied for first in the 50 Free, ending with a time of 24.37. Men’s Swimming fell to Dickinson 144-58 on Tuesday night. Tyler Wilkinson, Ridge Hagar, Daniel Logan and Andrew Leeper won the 200 Free Relay with a time of 1:30.42. The Falcons then traveled to Washington & Lee over the weekend, taking third place in the invitational. Tyler Wilkinson finished in second in the 200 Back. Men’s Basketball opened up MAC Commonwealth play against Widener on Wednesday night. The men won 73-62. Leading the way was Colin Sareyka with 25 points. The men fell to Penn State Harrisburg later in the week by a score of 80-54. Currently, the Falcons sit at 4-5 on the season. Men’s Wrestling hosted the Petrofes Invitational, finishing in second place overall. Josiah Gehr (125 lbs. ), Stephen Maloney (149 lbs.) and Victor DeFrance (184 lbs.) earned individual titles in their respective weight classes. 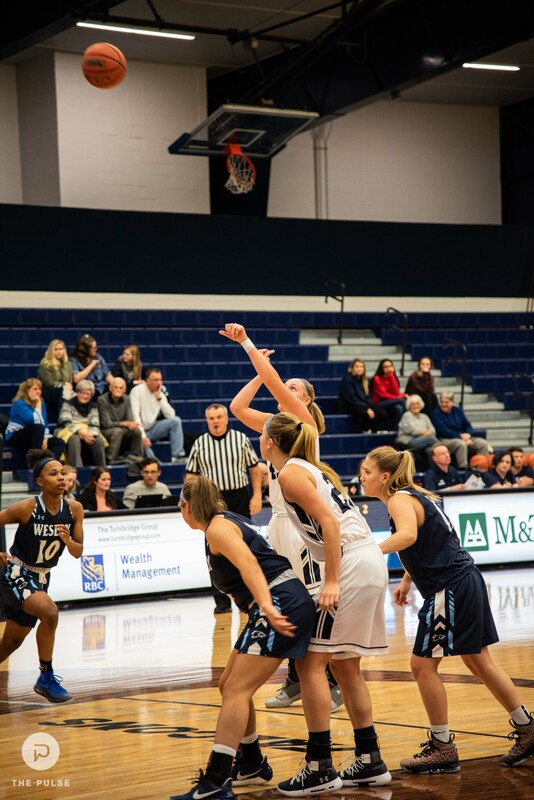 Women’s Basketball defeated Widener in overtime, 69-66, in their first conference matchup. Maci Thornton led the team with 21 points and three steals, while Alecia Rohrer recorded a double-double with 15 points and 11 rebounds. The team traveled to Newport News, VA on Saturday, playing against No.14 Christopher Newport University. The Falcons handed Christopher Newport their first loss of the season, winning 68-62. Men’s Basketball vs Hood College 6:00 p.m.
Women’s Basketball vs Hood College 8:00 p.m.
Wrestling vs Gettysburg College 7:00 p.m.
Wrestling @ Waynesburg University 11:00 a.m.
Women’s Basketball @ Alvernia University 1:00 p.m.
Men’s Basketball @ Alvernia University 3:00 p.m.